The mission of the National Aeronautics and Space Administration (NASA) Office of Education is to advance high-quality Science, Technology, and Engineering and Mathematics (STEM) education across the United States. 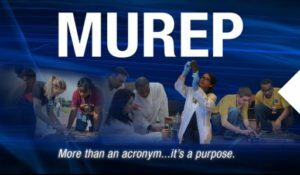 To maximize these efforts, NASA has consolidated its education activities into the Minority University Research and Education Project (MUREP). strategic importance and value to NASA’s mission and national priorities. Overall, MIRO awards aim to promote STEM literacy and to enhance and sustain the capability of institutions to perform NASA-related research and education, which directly supports NASA’s four Mission Directorates – Aeronautics Research, Human Exploration and Space Operations, Science, and Space Technology. Objective 1.1 Develop significant scientific, engineering, and/or technology research centers at the MSI that align and engage one or more programs of the NASA Mission Directorates. NASA’s Mission Directorates (Aeronautics Research, Human Exploration & Operations, Science, and Space Technology) and NASA’s ten Centers. Objective 2.1 Increase the lead institution’s ability to sustain research efforts through development of strategic partnerships. Objective 2.2 Increase the lead institution’s pursuit of additional funding opportunities offered by NASA, industry, and other agencies. Objective 2.3 Increase the ability of research leadership at the lead institution to leverage resources to enhance its research capacity at the project, program, department, college, and/or university levels. Objective 3.1 Develop faculty and researcher knowledge and skills in NASA-related research through professional development and NASA research opportunities. Objective 3.3: Increase capacity to develop student knowledge and skills in NASA-related research through NASA internships and opportunities. Objective 4.1 Increase the number of undergraduate and graduate degrees awarded to students from MSIs in NASA-related fields. In order to achieve maximum impact and success of MIRO Centers and Institutions awarded, proposals shall focus on the above goals and objectives. In addition, all proposed activities must address the requirements outlined in this appendix and in the broader EONS announcement. $1,250,000/per year in any given year and shall not exceed a total of $3,000,000. Regardless of the per year budget, the proposed plan and evaluation are required to run for three years. The period of performance will begin at the issuances of funds. Proposers may have the option for a 2-year funded extension. However, proposers shall respond to this solicitation with a 3-year budget and plan. If offered, those proposers requesting continuation with additional funding will be required to submit a new proposal and complete a technical evaluation. Funded extensions will be dependent on availability of appropriated funds. NASA funding beyond the first year is based on a satisfactory annual evaluation of documented progress; compliance with data reporting, applicable regulations and laws, and other program requirements; fulfillment of fiduciary responsibilities; and the continued availability of appropriated funds. Continuation of funding may be reduced if cost reporting indicates a significant level of unexpended funds, or if an institution’s performance is unsatisfactory (as determined by NASA).